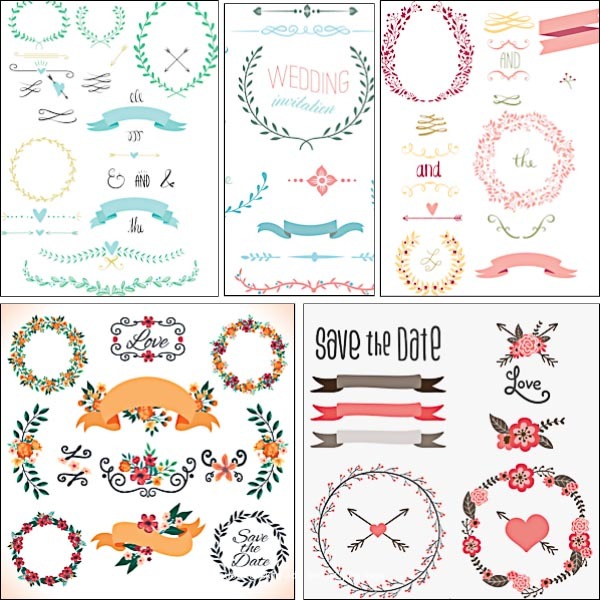 Set of 5 vectors with lovely floral ornaments and elements: laurels, ribbons, hearts, arrows etc. for your wedding romantic designs. 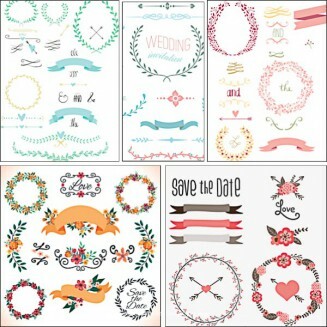 Tags: arrow, floral ornaments, floral vector, heart, laurel, ribbon, romantic, wedding cards.